Industrial Ceramics – LSP Industrial Ceramics, Inc. These compounds differ greatly from ceramics used for recreational and art purposes. While all ceramics posses certain advantageous characteristics, ceramics suited to industry must be highly resistant to a variety of elements. High melting points, thermal and electrical non-conductivity and resistance to heat, electricity, wear and chemical corrosion are all necessary properties of industrial ceramics. A low coefficient of thermal expansion is also integral to the success of these materials as ceramic manufacturing is expensive and this greatly reduces the risk of error. When metal is processed at high temperatures, manufacturers must account for the expansion and contraction inherent in the heating and cooling processes. Industrial ceramics eliminate this potential problem. These and many other attributes of industrial ceramics allow their continued use in a variety of industrial settings. Fuel, electric, refractory, metallurgical, foundry, investment casting, heat treatment, chemical processing, and microwave industries are among the many utilizing these resilient materials. 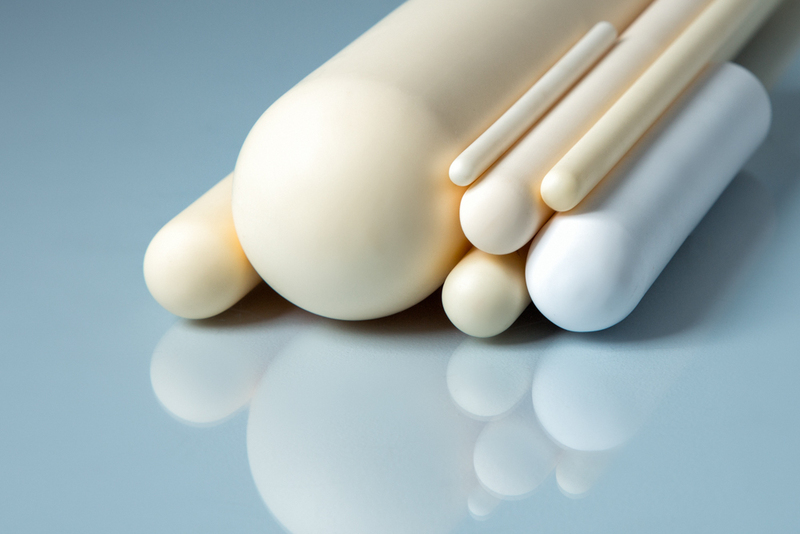 In addition to these settings, industrial ceramic manufacturing has become a significant industry of its own producing products such as ceramic rods, tubes, armor and more. The manufacture of industrial-grade ceramics begins the same no matter the intended output. Nonmetallic mineral clays are first taken in desired proportions and crushed or ground into a fine powder. A purifying agent or chemical solution is introduced to allow the removal of any impurity in precipitate form. Heating then returns the remaining solution to a highly pure powder. In many cases, wax is then added in small amounts to bind the grains together. Plastics may also be added to increase durability and pliability. Alternatively, fused ceramics add no binding agent. Instead, the grains or crystals bond through the manufacturing processes themselves. These processes include sintering, firing, hot pressing, hipping, extrusion, fusing, slip or pressure casting, injection molding and deposition. The end result of each method is a shaped ceramic product. These objects are then heated in a densification procedure that further strengthens the materials. The types of ceramics used in industrial settings vary greatly. Common materials include oxides, carbides and nitrides which are often blended together. 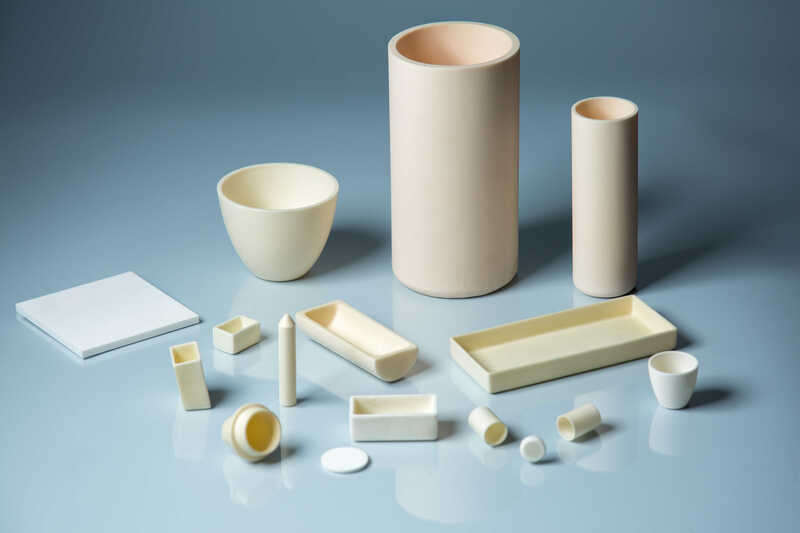 Maximum use temperature, thermal conductivity, modulus of rupture, elasticity, electrical resistance, average crystal size, density, and purity are all determining factors when selecting industrial ceramics. Industrial Ceramics Industrial ceramics involve the use of non-metallic, inorganic, mineral compounds in the production of physically large and quantity large ceramics, to be used in a wide range of contexts due to their desirable high resistance and insulating qualities.